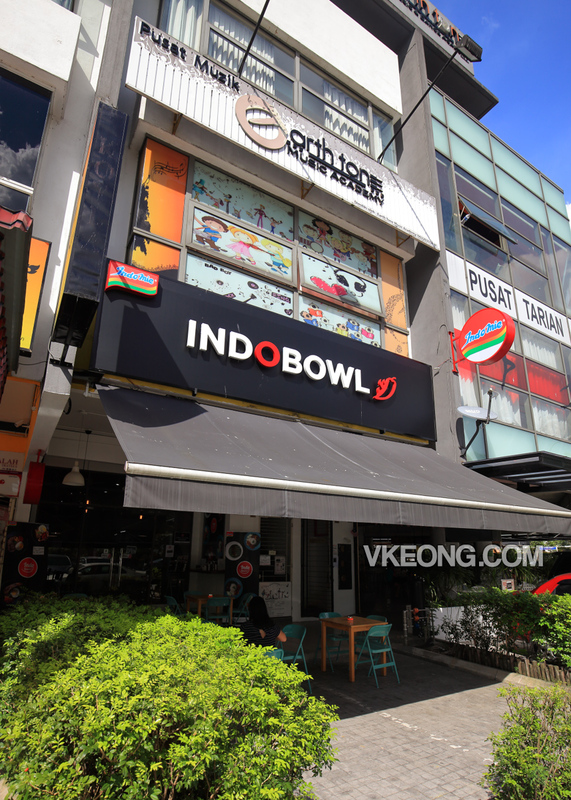 IndoBowl is interesting because it claims to be the first Indomie cafe in Malaysia. Shortly after their opening, they went viral because people were intrigued by their Indomie noodle offerings. Instead of frying the instant noodles like how Maggi Goreng is prepared, the Indomie is simply tossed in packet seasonings. 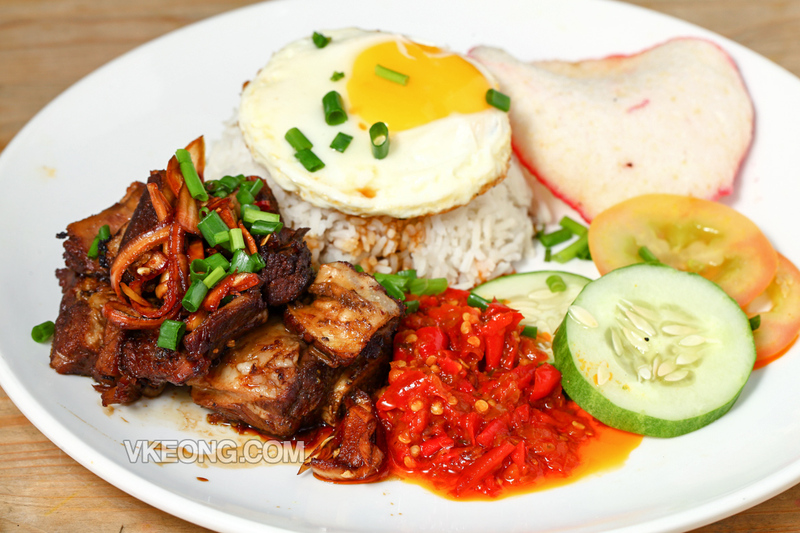 Then, meat toppings, fried egg and homemade Indonesian sambal are added for extra flavors. 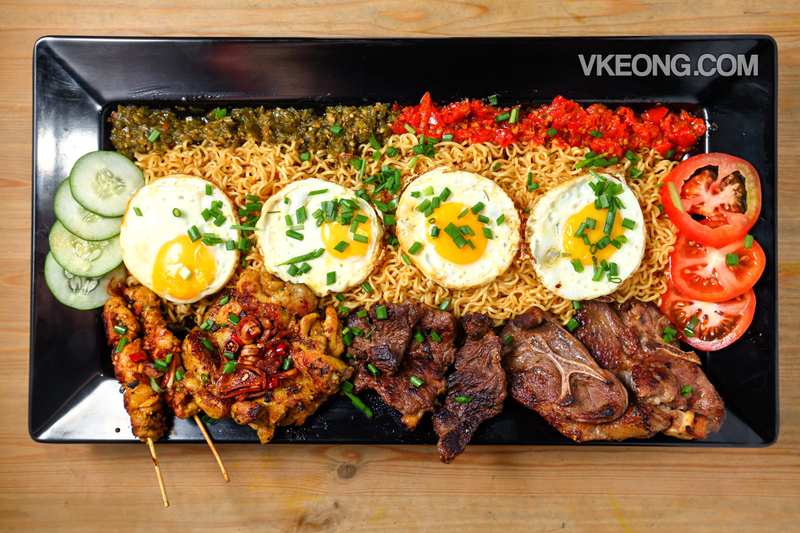 The Indomie Mumbo Jumbo @ RM59 is their signature dish, as well as the most elaborate item on the menu. It’s designed to be a sharing experience, so the portion is extraordinarily large with plenty of toppings. There are lamb racks, chicken satay, rib eye steak, grilled chicken complete with red and green Indonesian sambal. Taste wise, personally I was quite surprised at how well the noodle, meat, sambal and all melded together for a satisfying meal. A portion like this can be shared among 4 or more, which works out to about RM15 per pax. With everything considered, it’s actually not bad at all! The Sate Ayam Madura (5pcs) @ RM8 is definitely worth a try. 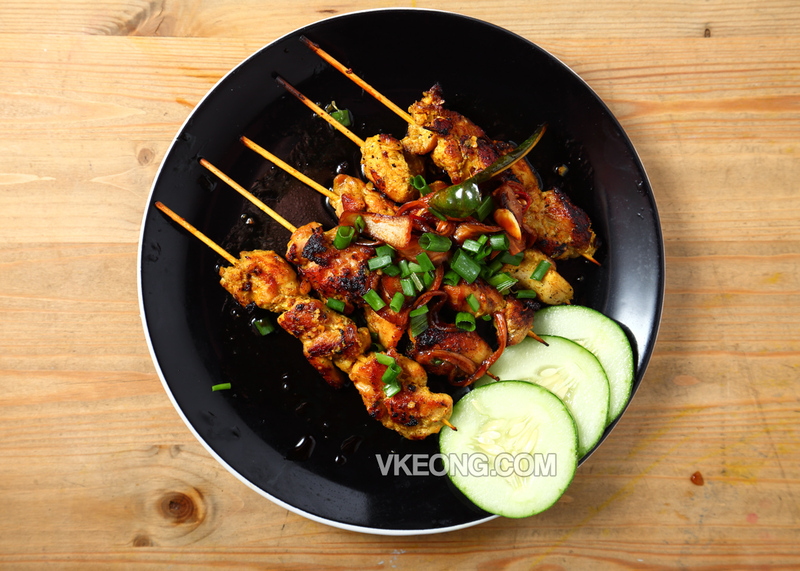 Despite being made up of purely chicken meat, it was tender while the nicely concocted soya sauce gave it a subtle sweetness that really complements the grilled chicken satay. Beef version is also available at RM9. If you are not an instant noodle lover but were dragged to IndoBowl by friends / family, not to worry because they also serve a range of rice dishes. The Nasi Iga @ RM15 was properly executed with meltingly soft and fork tender beef short ribs. Delicious, no doubt. As for the drinks, the Soda Gembira @ RM6 was refreshingly enjoyable especially with spicy food. But the Es Cendol @ RM6 was just alright. 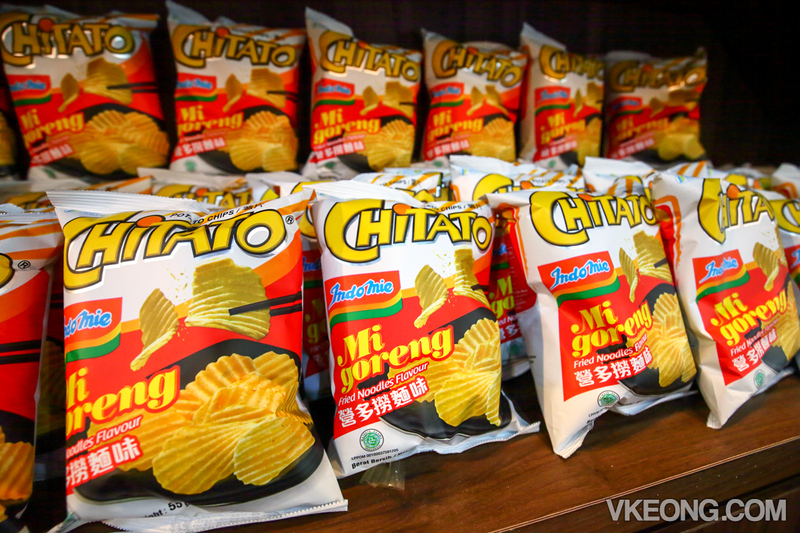 Before you leave, don’t forget to check out the Chitato chips placed right next to the cashier. Apparently, the Indomie Goreng flavored one was a huge hit in Indonesia not too long ago. 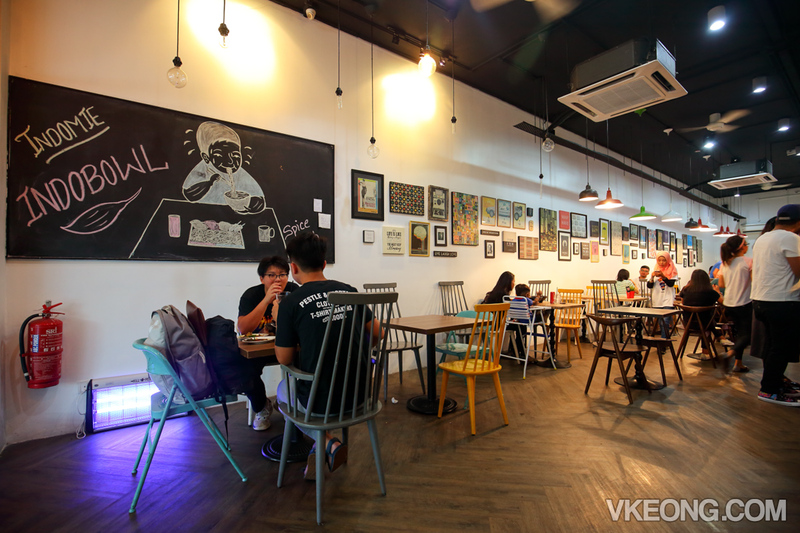 The post IndoBowl – Indomie Cafe @ Sungai Besi appeared first on Malaysia Food & Travel Blog.